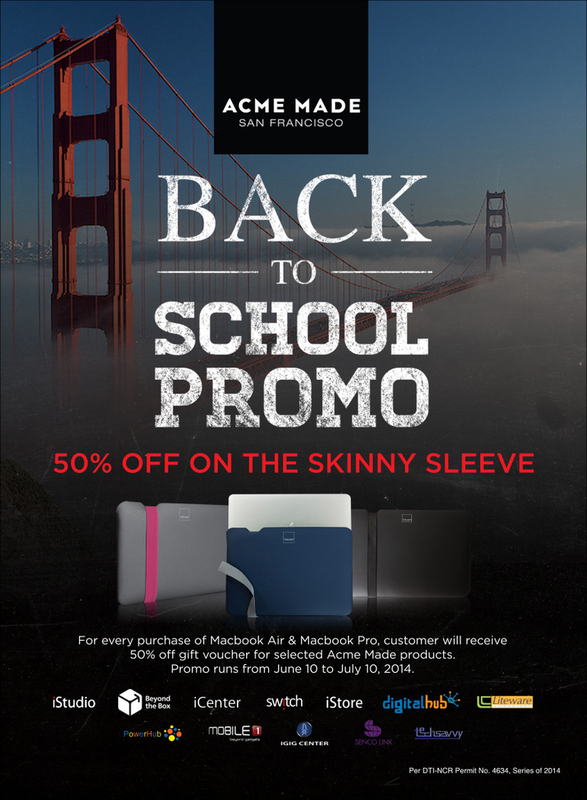 Acme Made Back to School offers 50% Discount on the Skinny Sleeve for every purchase of Macbook Air and Macbook Pro. Promo runs from June 10 until July 10, 2014. Check out https://www.facebook.com/digitstrading for more details.